Visual perception is our ability to make sense of what we see. 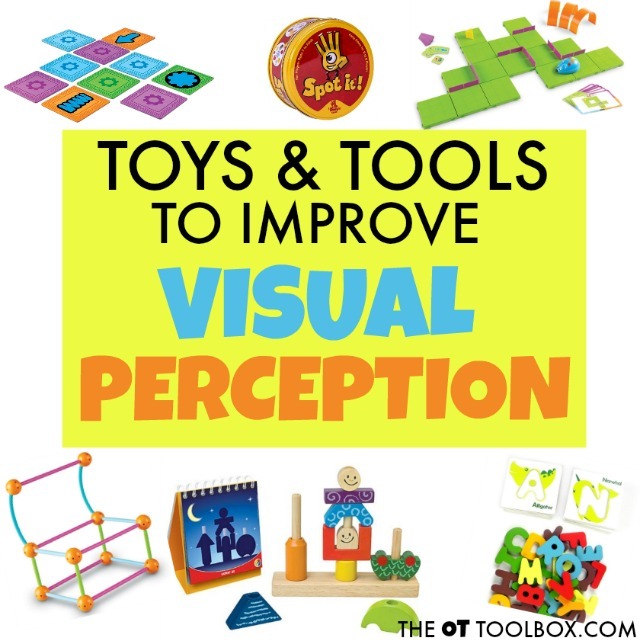 Visual perceptual skills are essential for everything from navigating our world to reading, writing, and manipulating items. Visual perception is made up of a complex combination of various skills. These visual perceptual skills are necessary together and in coordination with one another in order for use to see information and use that visual information to create responses or react with functional abilities like movement or processing. What are Visual Perceptual Skill? Visual Memory- This is one's ability to store visual information in short term memory. This skill allows us to recall visual information. When completing hidden picture puzzles, kids visually store images of items they are looking for when scanning to locate a specific shape or image. 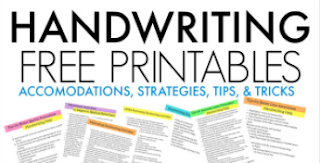 This skill is necessary for handwriting tasks when copying information from a source, such as lists of words, homework lists, and copying sentences. Visual Closure- This visual perceptual skill allows us to see part of an object and visualize in our "mind's eye" to determine the whole object. When we see part of an item we use visual closure to know what the whole item is. 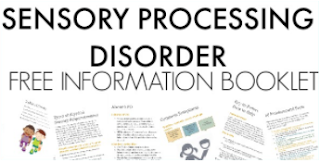 This skill requires the cognitive process of problem solving to identify items. Visual Closure is used to locate and recognize items in a hidden picture puzzle. In written work, we use visual closure to recognize parts of words and letters when reading and copying work. Form Constancy- This skill allows us to visually recognize objects no matter their orientation. When completing a hidden picture puzzle, children can recognize the missing object whether it is upside down or sideways. In handwriting skills, we use this ability to read and know letters and numbers no matter which direction we see them. Visual Spatial Relationships- This visual perceptual skill allows us to recognize and understand the relationships of objects within the environment and how they relate to one another. Visual Discrimination- This visual perception skill enables us to determine slight differences in objects. In hidden picture activities, this skill is needed to determine and locate different hidden objects. 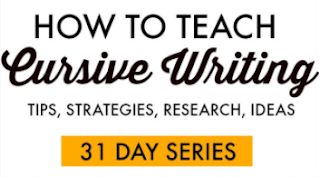 When writing and reading, visual discrimination allows us to perceive the difference between "p" and "d". Puzzles including ones like the wooden letter puzzle described below address visual discrimination. 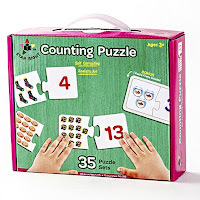 There are many puzzles on the market that meet different age and grade levels. Here are a variety of puzzles to consider. Visual Attention- This visual perceptual skill allows us to focus on the important pieces or parts of what we see. When we "take in" a scene or image in front of us, we are able to filter out the unimportant information. In this way, a student is able to focus our eyes on the teacher when she teaches. Driving down a road requires visual attention to take in the road so we can drive safely. Visual attention is important in copy work as students copy information from a Smart Board or book onto a piece of paper. As they visually scan from one point to another, they attend to the place they left off. Visual attention is also important and very needed in reading. Visual Sequential Memory- This visual perceptual skill is the ability to visually take in and then later recall the sequence or order of items in the correct order. This skill is important in reading and writing. Visual sequential memory is important in spelling words correctly and recognizing that words are not spelled correctly. Visual Figure-Ground- This skill enables us to locate items in a busy background. Finding hidden items in a hidden pictures puzzle works on this skill by visually scanning and identifying items within a busy scene. In handwriting, visual figure ground is necessary for copying written work from a model and locating the place left off when shifting vision. 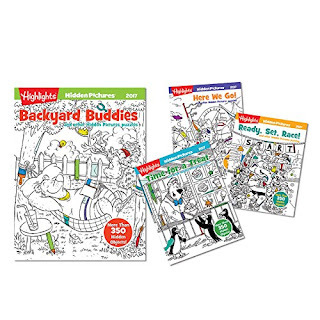 Highlights Hidden Pictures book set- Hidden pictures are a fantastic tool for helping kids develop and strengthen visual perceptual skills like figure ground, visual attention, visual discrimination, form constancy, and visual memory. This set of hidden pictures is a nice stocking stuffer that disguises "work" as a rainy day activity. 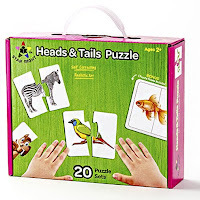 Self-Correcting Heads & Tails Animal Match Puzzle- Puzzles like this one helps kids address visual perceptual skills like visual discrimination,figure-ground, visual attention, form constancy, and visual memory. These are easy puzzles that can be used with younger children. Add this game to an older child's visual perceptual activities by asking them to write stories or sentences based on the puzzle pieces while sneaking in visual perceptual skill work. Self-Correcting Counting Puzzle- This puzzle is very similar to the previous match puzzle, only it uses math concept to match. 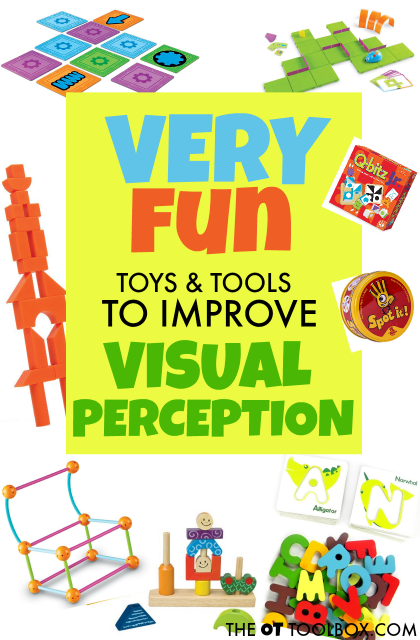 Work on visual perceptual skills with a math component. 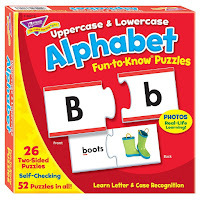 Uppercase & Lowercase Alphabet Help kids develop skills in upper/lowercase letter matching by addressing visual discrimination, form constancy, spatial discrimination, form constancy, visual memory, and visual discrimination. 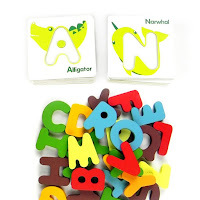 Preschool Alphabet Animal Wooden Puzzle Visual discrimination is a skill needed for noticing differences in letters like letters b and d. It's a skill that carries over to reading and noticing the differences between words like can and car. visual discrimination skills enable the eyes to notice differences between the orientation and parts of letters and can promote a more fluent reading ability. This skill is also important in math and spelling. Puzzles like this one also help with form constancy, visual figure ground, among other visual perceptual skills. 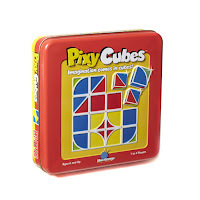 Pixy Cubes -Noticing small differences in colors and direction is an important part of visual discrimination and reading, writing, math, and spelling. These skills are important for fluency as children age and need to complete reading and math skills at faster levels appropriate for grade advances. Matching and figuring out visual puzzles like this one address skills like visual attention, visual memory, visual sequencing, spatial relationships, and visual sequencing. 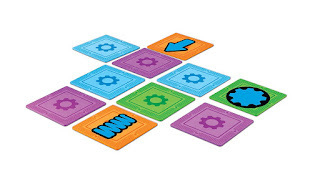 Learning Resources iTrax Critical Thinking Game- This visual perceptual toy allows children to copy and build designs using blocks of different sizes. Children can develop and boost visual perceptual skills such as visual figure-ground, visual attention, visual memory, visual sequencing, and spatial relationships in order to create the mazes that they see on the cards. There are various levels of mazes, allowing for development of skills. Learning Resources Dive into Shapes! 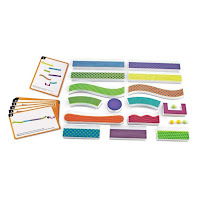 "Sea" and Build Geometry Set- This building set is a visual perception activity that develops various visual perceptual skills needed for skills such as handwriting and reading. 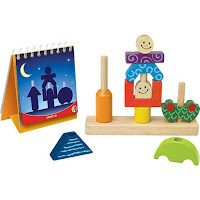 Using double-sided activity cards, children can develop skills such as visual figure-ground, visual attention, visual memory, visual sequencing, and spatial relationships while they copy the three-dimensional figures they see on the cards. This activity is a powerhouse therapy tool as children can strengthen fine motor skills while building with the pieces. 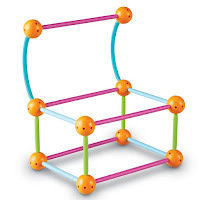 Tumble Trax Magnetic Marble Run- This marble run building set is a visual perception activity that develops various visual perceptual skills needed for skills such as handwriting and reading. Children can copy different levels of marble run forms using activity cards while developing skills such as visual figure-ground, visual attention, visual memory, visual sequencing, and spatial relationships. The magnetic pieces can be used on surfaces such as a refrigerator or large magnetic sheet on the wall. It's a great tool for strengthening the upper body, developing balance and core stability, and shoulder stability while working on a vertical surface. 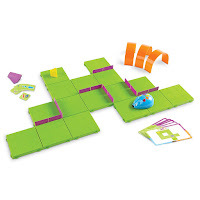 Code & Go Robot Mouse Activity Set- Use the activity cards to copy maze forms while developing visual perceptual skills such as visual figure-ground, visual attention, visual memory, visual sequencing, and spatial relationships. 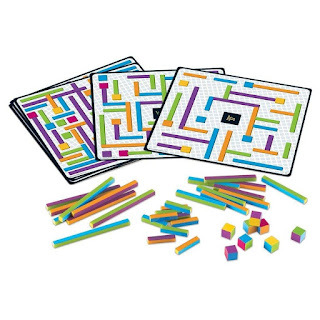 The maze is a great self-confidence booster for children as they complete mazes for the battery operated mouse. This game provides an opportunity for developing and introducing coding skills. When watching the mouse as it travels through the mouse, children can enhance visual scanning skills. Let's Go Code! Activity Set- This visual perception game requires children to hop, turn, step, and move through a gross motor maze of directions. Children can develop visual perceptual skills such as visual attention, visual memory, visual sequencing, and spatial relationships. Directionality is enhanced with movement activities such as this one and is much needed in tasks such as writing and identifying direction of letters and numbers. 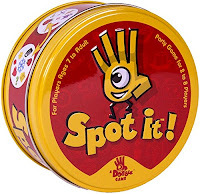 Spot It- This game is a fun way to help children develop and strengthen visual perceptual skills like figure ground, visual attention, visual discrimination, form constancy, and visual memory. The game is small enough to be used as a busy activity while waiting at restaurants and appointments. It's a game that boosts skills and can be used during family game night, too. 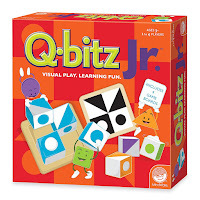 Q-bitz Jr.- Noticing differences in colors, forms, and directions are important skills needed in visual discrimination for reading, writing, math, and spelling. These skills are important for fluency as children age and need to complete reading and math skills at faster levels appropriate for grade advances. This game is a fun way to address skills like visual attention, visual memory, visual sequencing, spatial relationships, and visual sequencing. Day And Night- This copying puzzle activity is a great way to develop skills like form constancy and visual discrimination. Children can look at the shaded image of the "night" scene and recreate the form using three dimensional blocks. It's a nice way to develop visual perceptual skills like visual attention, visual memory, visual sequencing, spatial relationships, and visual sequencing. 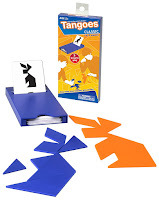 Classic Tangoes- Similar to the Day and Night game, children can view the image on a card and use tangrams to re-create the picture in this classic game. 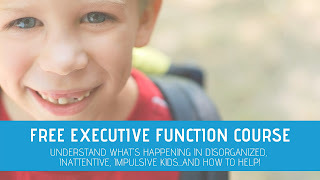 This activity develops visual perceptual skills like visual attention, visual memory, visual sequencing, spatial relationships, and visual sequencing, form constancy, and visual discrimination, all needed for handwriting and reading. Read more about using tangrams in visual perception and handwriting. Equilibrio Game- This building activity requires players to copy forms from a puzzle book while re-creating buildings that challenge balance and gravity! When copying and building the forms, kids develop and build eye-hand coordination skills and visual perceptual skills like visual attention, visual memory, visual sequencing, spatial relationships, and visual sequencing, form constancy, and visual discrimination.